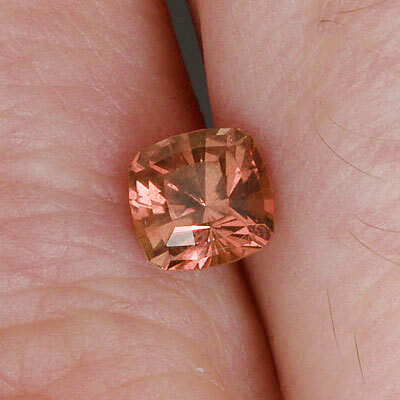 This 0.66-carat Salmon/Peach Sapphire gemstone features the Regal Radiant™ cut. Refer to the table below for detailed information about this gemstone. Notes: Natural color sapphire from Tanzania with a bright cut and eye cleanish. 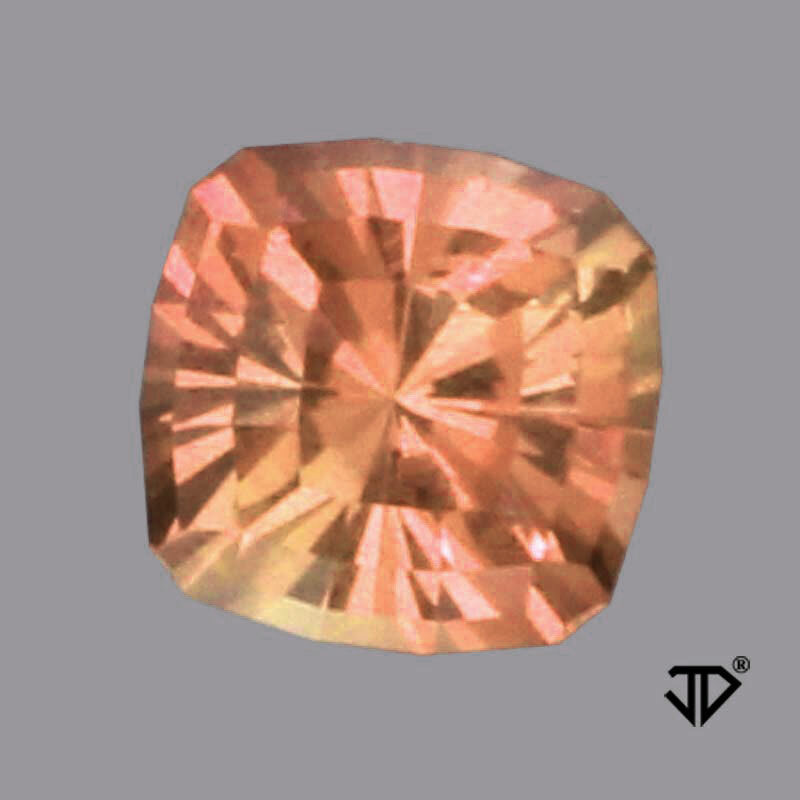 Since this gem is natural color it will show a color shift from one kind of light to another, sometimes it will be oranger/browner and sometimes pinker depending on the kind of light it is in. This is part of the charm of natural sapphires.